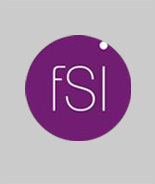 We are pleased to be supported by the The FSI. The FSI is a registered charity that supports charities of all sizes but has a particular focus on addressing the resource and skills gaps experienced by the UK’s vibrant small charity sector. We channel our funding through three routes. To provide support to individuals or charities that are working to improve communities through the provision of positive activities to engage youth and demonstrate positive routes to fulfil their life potential.